Finally finished a sweater for my daughter. 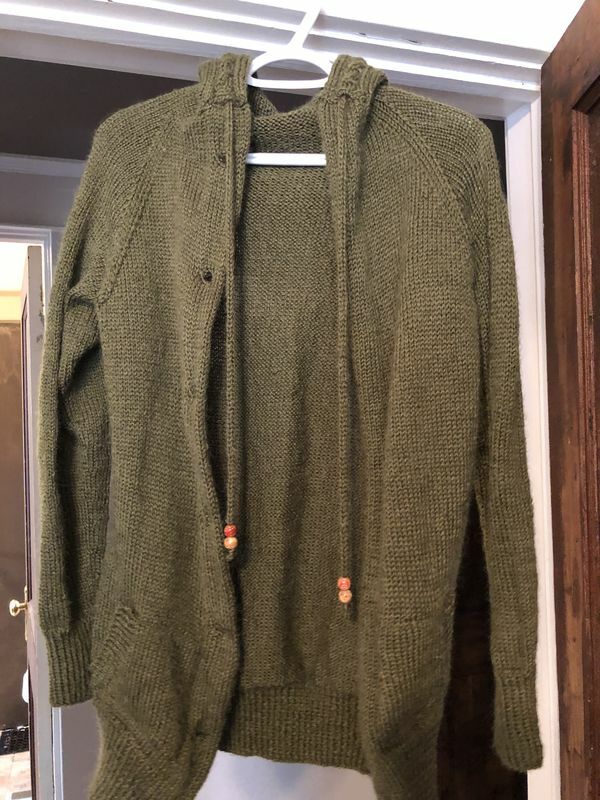 First time knitting pockets, hood and a sleeve first, bottom up cardigan! It is an awesome sweater ! Very impressive! I'm sure she will be thrilled. Quite the accomplishment. Did you ever stop to estimate the number of stitches? Hope not. Beautiful work.